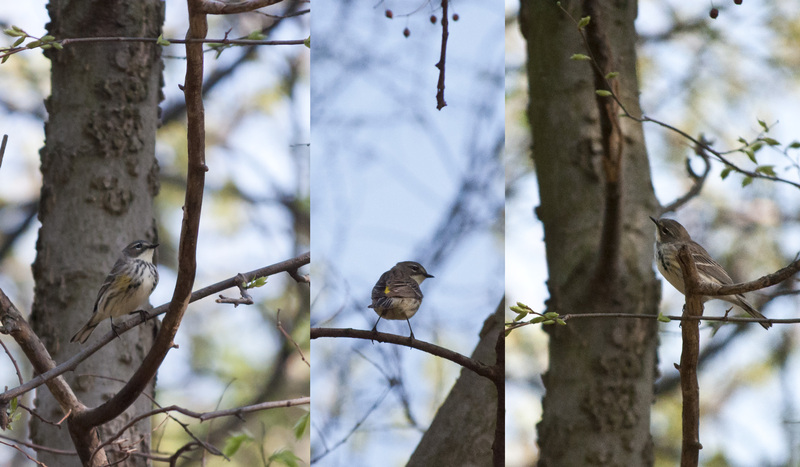 Another Yellow-rumped warbler. These photos are all of the same individual. Its markings are less distinct and bright than the other one. Perhaps this is a female.